True Economics: 17/5/2014: Are Markets Punishing Russia?.. 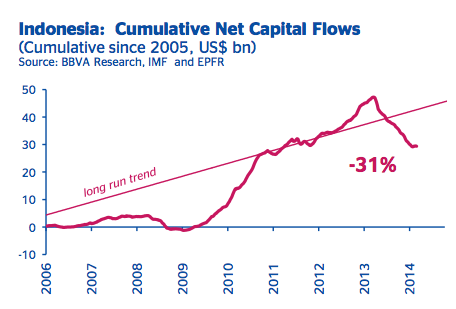 or the Emerging Markets? 17/5/2014: Are Markets Punishing Russia?.. 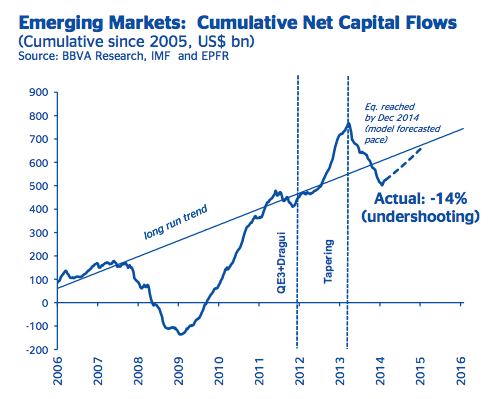 or the Emerging Markets? 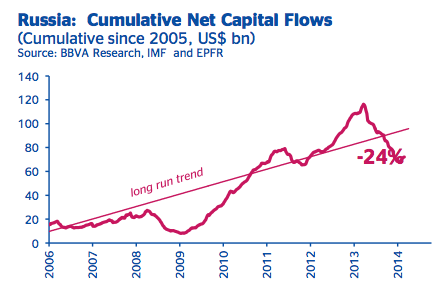 An interesting analysis from the BBVA Research on capital flows to EMs… while much can be discussed, one thing is of interest from my point of view (not covered by the BBVA): Russian inflows. We've heard about alleged markets punishment and investors flight from Russia. And there has been some for sure. Except, the theory that this flight is tied to naughty kremlin behaviour in Ukraine is a little… how shall we put it… a stretch may be? 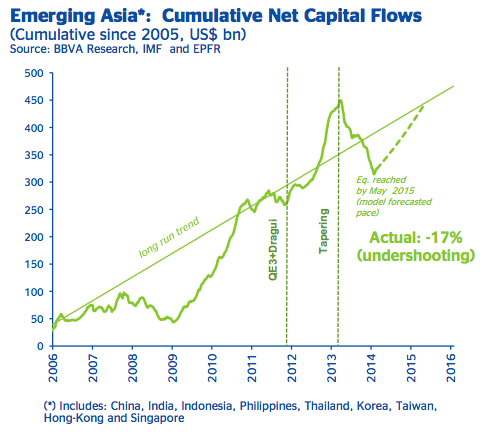 So Asia is even worse off than the general EMs... And Asia is Ukraine-free and Fed-tied. And guess what: decline started in the same 'tapering-on' period and well before Ukraine and accelerated similarly to the rest of EMs. Brazil's 'troubles with Ukraine' started earlier on than rest of EMs, but accelerate with Fed tapering. 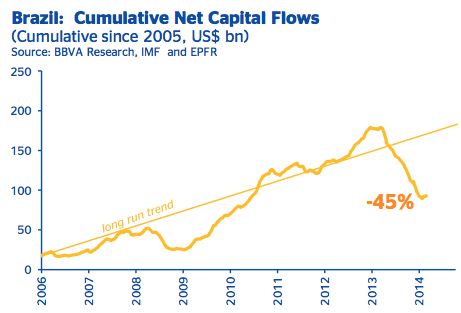 So how about that thesis alleging that Russia is being punished for Ukraine crisis by those investors?